Lisa Sánchez González lives in an enchanted forest, where she has recently finished writing a collection of short stories entitled Puerto Rican Folktales/Cuentos folclóricos puertorriqueños (2Leaf Press, forthcoming 2014). 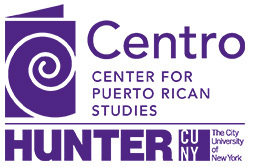 She is also the author of Boricua Literature: A Literary History of the Puerto Rican Diaspora (NYU Press, 2001) and a myriad of essays on American and Caribbean literary history. Sánchez studied Comparative Literature at UCLA (PhD 1995) and has taught at universities in the U.S., Puerto Rico, and Brazil. She now works at the University of Connecticut, where she is Associate Professor of English. The Stories I Read to the Children documents, for the very first time, Pura Belpré’s contributions to North American, Caribbean, and Latin American literary and library history. Thoroughly researched but clearly written, this study is scholarship that is also accessible to general readers, students, and teachers. Pura Belpré (1899-1982) is one of the most important public intellectuals in the history of the Puerto Rican diaspora. A children’s librarian, author, folklorist, translator, storyteller, and puppeteer who began her career during the Harlem Renaissance and the formative decades of The New York Public Library, Belpré is also the earliest known Afro-Caribeña contributor to American literature. In The Stories I Read to the Children, Lisa Sánchez González has collected, edited, and annotated over 40 of Belpré’s stories and essays, most of which have never been published. Her introduction to the volume is the most extensive study to date of Belpré’s life and writing. Prospective authors should contact the editor Xavier F. Totti (xtotti@hunter.cuny.edu).